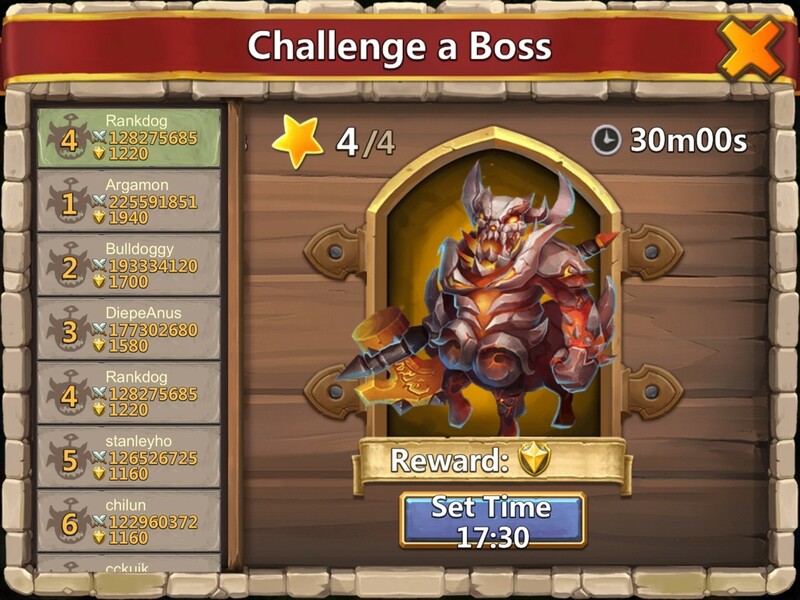 [Guides] How to set the auto timer for boss battle. In the latest update IGG added the ability for guild leaders to set a time for boss to start automatically without a vice or leader being on to start it. In this guide I will walk through how to set that timer. On this next screen click set time. DO NOT click activate unless you intend on starting the boss fight. This is the window that pops up after hitting set time. It allows you set a time in 30 min increments. This aligns with the server time. Once you find the time you like hit OK.
You will now see the set time in place of the shard cost on the launch button. 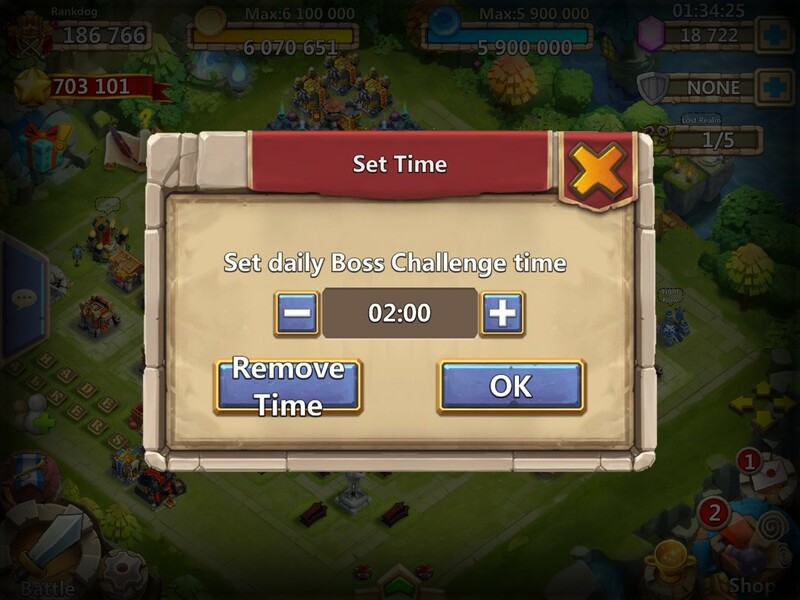 Boss will now start at the selected time even if no one from the guild is on at that time. 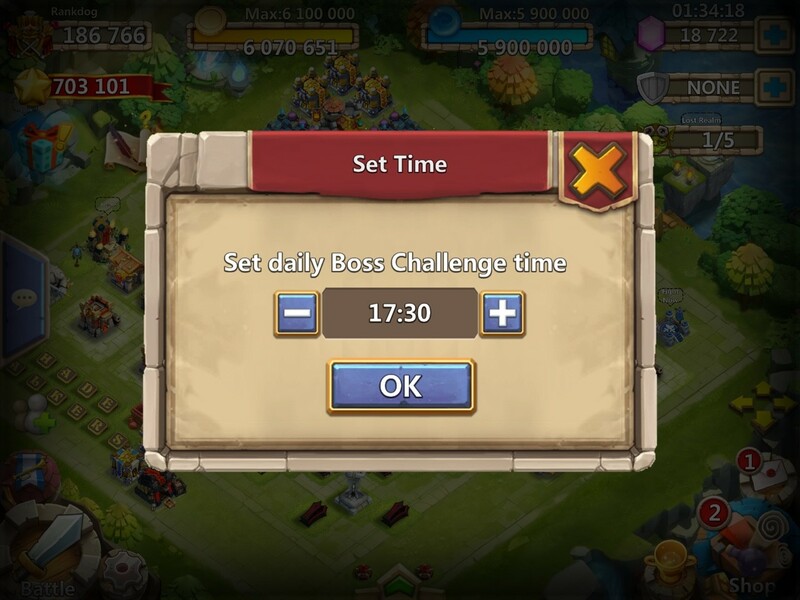 To change the time or remove the time click the set time button. This screen will comes up and will allow you either change the time or remove the auto launch timer. 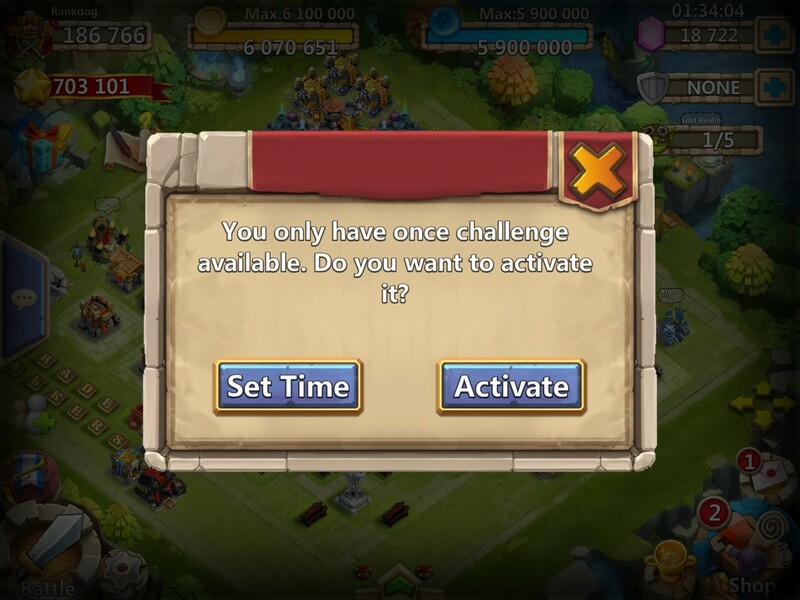 Hit OK to save changes to the timer or remove timer to remove it. That seems to be a common request among those I have spoke with about this feature.